Despite all the technology, it’s still people that make the decision to buy, so building customer relationships are more important than ever. Understand those relationships, nurture them and improve them and that’s a sure fire way to grow your business. Building a customer relationship is a surefire way to increase revenue within your business. 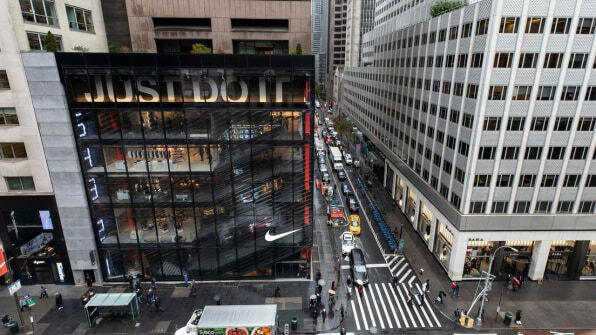 I read earlier today in Fast Company about the new flagship Nike store in New York. From what I’ve read it’s the full omni-channel experience. Taking the retail experience of an Apple Store and applying it to an online virtual reality clothing store. Download the Nike app and take your online experience off-line. Pick up and scan a sneaker and you’ll find out everything you could possibly need to know about it. Then select the size you need and someone will bring you that you that shoe. Hit the changing rooms with the latest gym gear and use video so you can see how you’re going to look at the spin class or while running on the beach. When you decide to buy, Any payment information you’ve saved online can then be used so no queueing. Simply scan pick up go. Course the catch is, You need to be a Nike member and you need to have downloaded the Nike app. Why are they doing this.? It’s because they understand that understood that data drives the future of retail. Yes it’s experimental yes it might feel but it’s definitely the start of something. We know that Google are looking at linking online behaviour to off-line in-store behaviour with beacons. So this very well could be the future but it raises big questions around consent and privacy versus convenience. With the new Nike store you are recognised as you walk through the door if the app is turned on. That adds to the wow factor but that wow factor soon diminishes when you realise that you are still being tracked way after you’ve left the store. What can you do to build your customer relationships? The new Nike store is an extreme example. I’m fairly sure The majority of people reading this and that sell things online, I want a cup of giant our corporate giant or maybe don’t even have an off-line presence. That doesn’t mean you can’t start building your customer relationships. You’ve got the raw materials in place. You’ve got customers and you’ve been collecting data. So the question is not how do I start building customer relationships but which customer relationships do I already have and what can I learn from them. You have the data that helps you understand who regularly purchases from you. Who has never purchased from you and who hasn’t purchased from you for a long time. These are three very different customer relationships. The people I buy from you regularly sure you how are you can generate customer loyalty. Why do these people keep coming back? Can I find more of them? The people that have shown interest but haven’t purchased yet help you understand the pre-customer relationship. Are you acquiring the right kind of people? And the people that haven’t bought for a while help you understand your post customer relationship. Why haven’t these people purchased for a while? At Websand we help people that sell online or on e-commerce stores to understand which people fit into each of these categories (loyalty, retention, acquisition) so they can build strategies to help get answers to these important questions. It sounds complicated but it isn’t when you have the right tools. That’s why Websand is build to fit around your systems and the data you collect with every customer transaction. I said earlier that Data drives the future of retail it also drives the future of your business. You have gone through the fun of GDPR, So I’m sure you’re capturing data in the right way. The next opportunity is to use the customer data you’ve legitimately collected, and use this data to understand and build upon your existing customer relationships. Do this and your business will thrive. You don’t need to be Nike to start building customer relationships that amaze your audience, you just need a starting point. If you are selling online and would like to know how we can help you understand your existing customer relationships simply sign for Trial or get in touch.